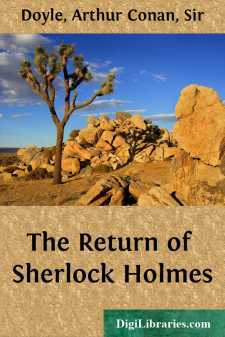 It can be imagined that my close intimacy with Sherlock Holmes had interested me deeply in crime, and that after his disappearance I never failed to read with care the various problems which came before the public. And I even attempted, more than once, for my own private satisfaction, to employ his methods in their solution, though with indifferent success. There was none, however, which appealed to me like this tragedy of Ronald Adair. As I read the evidence at the inquest, which led up to a verdict of willful murder against some person or persons unknown, I realized more clearly than I had ever done the loss which the community had sustained by the death of Sherlock Holmes. There were points about this strange business which would, I was sure, have specially appealed to him, and the efforts of the police would have been supplemented, or more probably anticipated, by the trained observation and the alert mind of the first criminal agent in Europe. All day, as I drove upon my round, I turned over the case in my mind and found no explanation which appeared to me to be adequate. At the risk of telling a twice-told tale, I will recapitulate the facts as they were known to the public at the conclusion of the inquest.